Our favorite listing this week is a home was built in 1848 by Josiah Dodge, since then the deed has only changed hands five times – in 170 years, meaning, act fast. 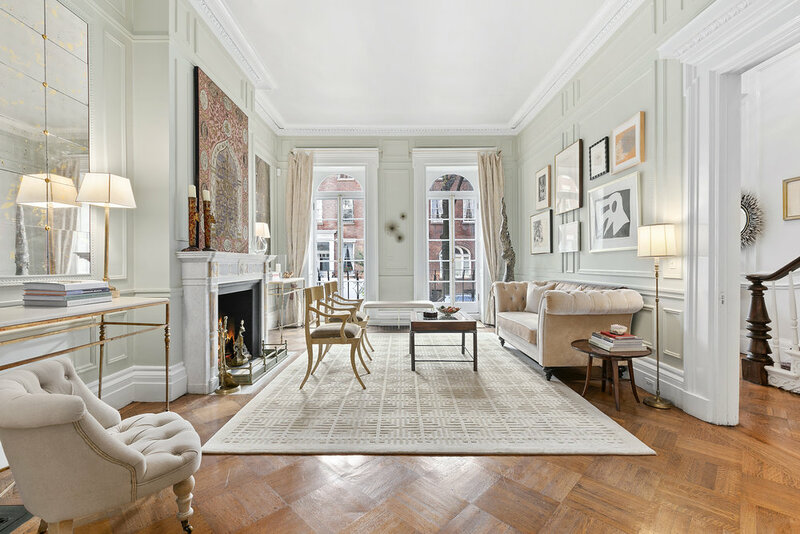 Located at 37 West 17th st. currently listed for $13,500,000. 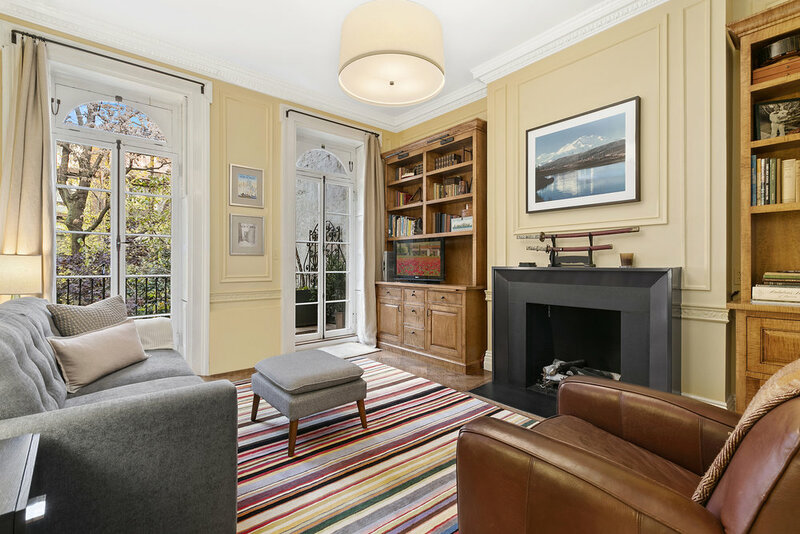 A 4 Floor, 5 Bedroom, 3.5 bathroom, this townhouse, contains eight fireplaces which are fully lined for wood burning, and one which is gas confirmed by renowned fireplace manufacturer William H. Jackson. 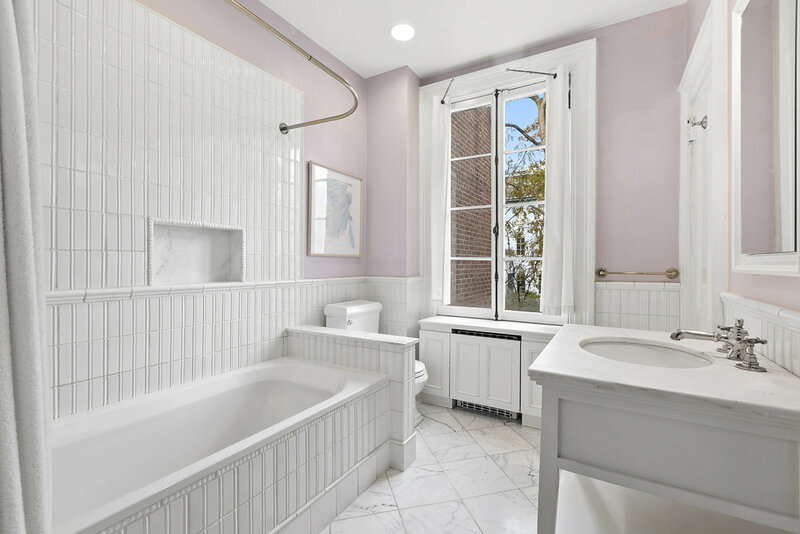 Originally built in a Greek Revival design, the home’s façade was modified in the 1920s into an Italianate Style, which brought stucco to cover the brick walls, and French doors on the balconies to replace double-hung windows. This 21.5’ wide home features five bedrooms, three full baths, and one half bath. Situated mid-block on a quiet street, the home is a true sanctuary. The house sits on a 103’ lot and includes an expansive 50-foot north-facing garden with large trees including a flowering magnolia and maple. Surrounded by other townhouse gardens, enjoy full privacy in the beautifully landscaped space, an outdoor oasis in the heart of the city. The family room and kitchen are on the garden floor, with a wall of windows to the ceiling, filling the space with light and creating the feeling of indoor-outdoor living. The large stoop leads to an impressive entryway, with 12-foot high ceilings, original moldings, columns, and pocket doors. The Venetian tearoom, most likely dating from the 1920s, has original arched mirrors, an arts and crafts tile floor, and a beautiful marble fountain on the east wall. Enclosed with glass, it is a truly special place to sit and enjoy the garden views. The master bedroom has french doors leading to Juliet balconies, flooding the space with southern light. The master suite floor includes a bath, home office, and den. The townhouse is featured in Bricks and Brownstones, Charles Lockwood’s book which chronicles the homes of Greenwich Village. 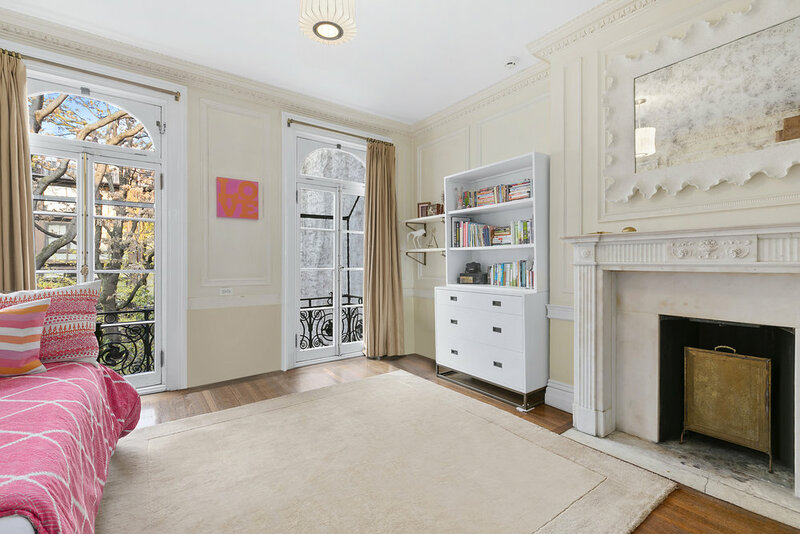 A rare opportunity to own a piece of New York City history in a prime location, this townhouse is a truly unique and special place to call home. Paul Kolbusz, Sara Gelbard and Melissa Sargeantson at Corcoran is the listing agent.